Saute onion and leeks in butter and oil until soft, watching carefully so they don’t brown. Add potatoes, sprinkle with salt and cook 2 minutes. Add broth simmer unitl potatoes are tender. 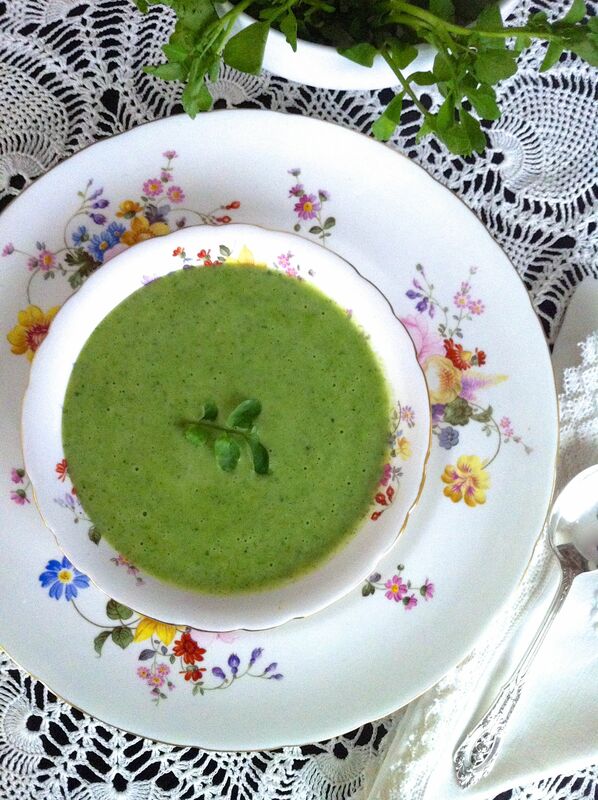 Add the watercress, reserving some for garnish if you desire, and cook 5 minutes. Remove from heat and puree in blender, 2 cups at a time. Return to pan and add milk. 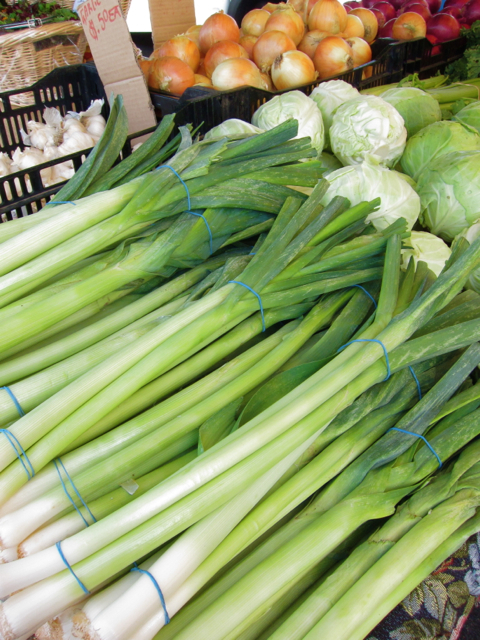 *To remove the dark green part of the leeks, make slices all the way around the leek where the dark green begins and slide it off. Move your way up the layers of the leek, repeating this, until only light green remains. When you are done, slit the leek in half and while spreading it apart and rinse well to remove any dirt, then dice.